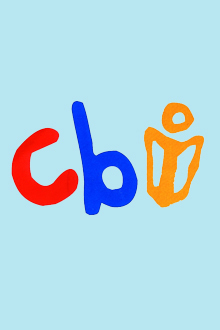 CBI is the national children’s books organisation of Ireland. Through our many activities and events we aim to engage young people with books, foster a greater understanding of the importance of books for young people and act as a core resource for those with an interest in books for children in Ireland. Children’s Books Ireland was founded in 1997 as a result of the merger of The Irish Children’s Book Trust (ICBT) and the Children’s Literature Association of Ireland (CLAI). Both of these orgnisations had developed during the late eighties and nineties, a time of significant progress in Ireland for publishing and writing for children. The new organisation, Children’s Books Ireland, set up as a company limited by guarantee, obtained charitable status and adopted a memorandum and articles which were later amended in 2003. CBI has continued to grow and now has a combined Irish and international membership of approximately 1,700 and employs three full-time staff members – a director, a programme officer and a communications officer. CBI’s primary source of funding is The Arts Council, which has always recognised the importance of our remit for children in Ireland. CBI first received Arts Council funding, both revenue and capital, in 1997. Revenue funding has been received annually since, enabling continued growth and development. Additional funding is actively sought from a variety of sources, which currently include membership, subscriptions, The Library Council, Foras na Gaeilge and commercial sponsors. The first chapter of CBI’s story has taken place at a time of extraordinary change in Irish society. Shifting arts, education and socio-economic landscapes have formed a dramatic backdrop to our first fifteen years. Significant lifestyle changes, along with increased immigration and urbanisation, have changed how people interact with the arts and, importantly, how children interact with books. Likewise, arts policy and infrastructure development have contributed to a positive relationship between the public and the arts. As an innovative and active arts organisation, CBI will continue to ensure that children’s books and the children’s books community are valued, cherished and supported. We look forward to Children’s Books Ireland making its contribution to the future vibrancy of the arts in a multi-cultural Ireland. As well as events bringing authors to children in schools and at literary festivals, CBI promote a huge range of events, workshops for new and established writers, and run an annual conference that is a must stop for all children's authors. All members receive the superb Inis Magazine. CBI's website has a dedicated section CBInfo, an online resource hub for everyone interested in writing and illustrating or children. 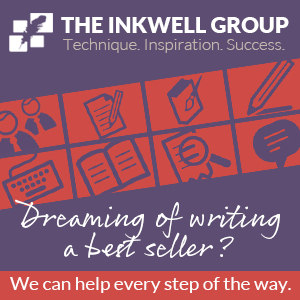 CBInfo is designed to provide you with the information you need to help you negotiate the publishing industry in Ireland.